 The Newberry College Quality Enhancement Plan is "Habits of the Heart." 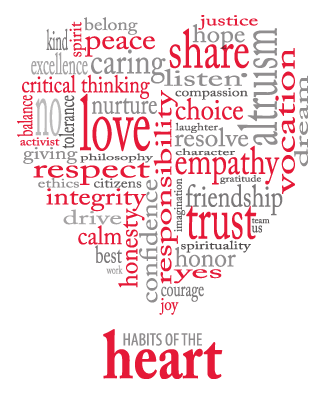 QEP -- Habits of the Heart. Through a sustained focus on Critical Thinking, with special emphasis on thinking critically about personal and social responsibility and vocation, students will become better learners and more responsible citizens in their communities and in the world. Critical Thinking: Critical Thinking is a deliberate process by which individuals identify and reconsider assumptions as they explore ideas and actions, gather and evaluate new evidence, view ideas and actions from alternative perspectives, and apply new insights as informed scholars and citizens. Vocation: Vocation is a call to a life of meaning and purpose which is expressive of our talents and passions, and characterized by continual self-reflection, service to others, and broad-based study and experiences. Personal and Social Responsibility: Personal and social responsibility is a commitment to striving for excellence in the use of our talents, taking responsibility for the integrity and quality of our work, and fulfilling our obligations as members of an academic community and as local and global citizens.